Radio Free Kaslo Canada Day 2018 Special! Step aside Prairie Home Companion; thanks for the memories, Vinyl Café. 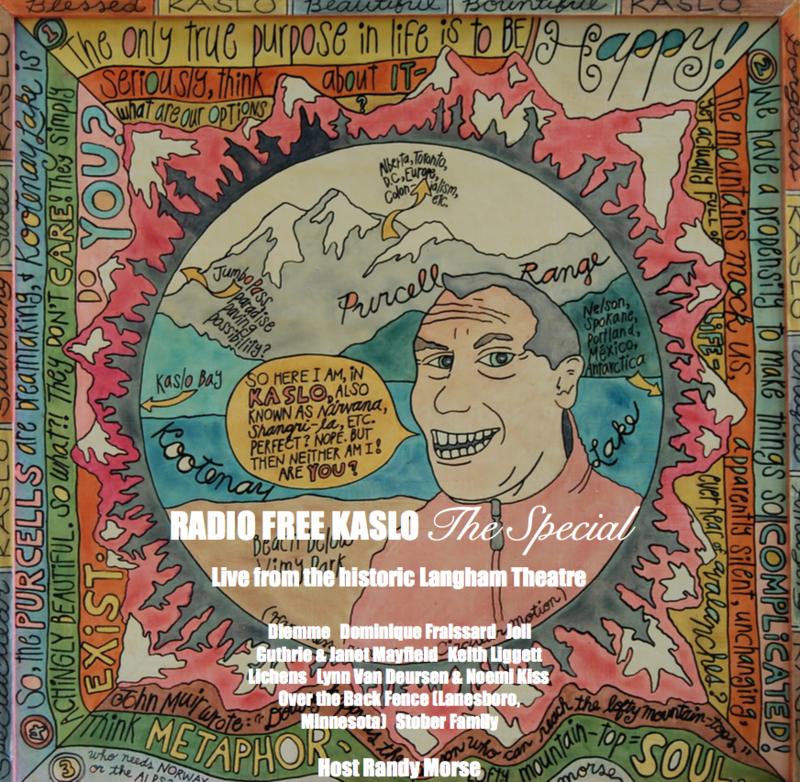 Here comes the RADIO FREE KASLO SPECIAL, recorded live in the historic Langham Theatre (Kaslo, British Columbia) in front of a wildly enthusiastic audience! We’re talking literature, drama, and lots of music — all of it live — from one of the most charming, quirky, inspirational small towns in North America. Hosted by Radio Free Kaslo’s Randy Morse, this is an hour-plus of genuine, unadorned summer entertainment from a place so quaint, so special, it’s hard to believe it’s real. This is radio that celebrates “Life in the sane lane”! Featuring Diemm, Keith Liggett, Dominique Fraissard, Lynne Van Deursen, Noemi Kiss, Judy Runyon, Joli Guthrie, Janet Mayfield, and the Lichens.